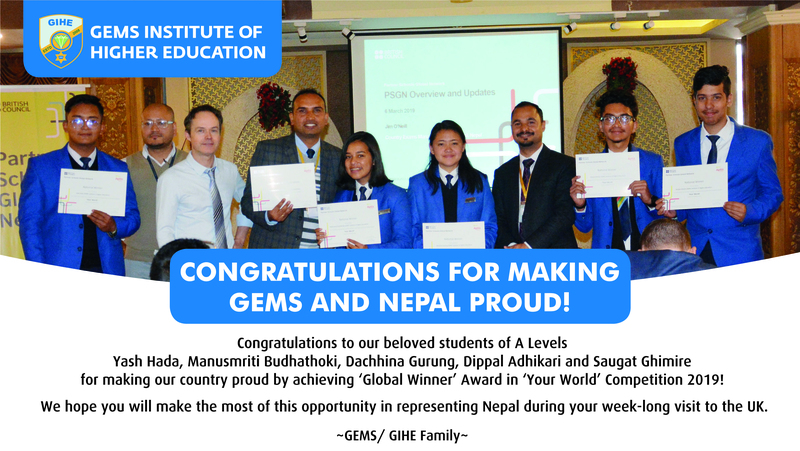 GEMS Institute of Higher Education from Nepal has been announced as the global winner of the 2018-19 Your World video competition. The winning team along with their teacher will be going to the UK for a week-long summer course. The theme of the competition for this year was "Healthy Bodies, Healthy Minds" where A Level partner schools were required to make a video of a social action project that identifies a health issue related to nutrition and exercise along with its effect on a community.